For the first time, Israeli non-profit organizations (NPOs) – of which there are some 29,000 – will be nearly 100% “transparent” to the public. For the first time, Israeli non-profit organizations (NPOs) – numbering some 29,000 – will be nearly 100 percent “transparent” to the public. A new website called GuideStar Israel lists each of the NPOs, their field of operations and the like – but possibly most significantly, the salaries they pay and other expenses. The specific salaries of various directors and employees are not noted, as the site explains that "details which might violate the privacy of individuals mentioned in the documents have been removed." Such information is available at the offices of the National Registrar of Non-Profit Associations. GuideStar Israel is a joint project of the Ministry of Justice, Yad Hanadiv and JDC Israel, and is operated by NPTech – Technologies for Nonprofit Organizations Ltd. (CPB) - a company that helps NPOs utilize the potential of computerized information systems and communication technologies to better reach their goals. The new website was launched today, Tuesday, at a press conference at the Ministry of Justice. It is the main information website on non-profit organizations in Israel. Other sites, such as Giving Wisely, contain basic information in a user-friendly format. GuideStar, however, also features the actual financial statements filed by the NPO’s with the National Registrar, in PDF format. The combination of this official information, approved by the Registar, together with the richer and more "colorful" information provided by the NPOs themselves, creates the most comprehensive and qualitative database of civil social organizations in Israel. It also provides internet presence to all non-profit organizations operating in Israel. 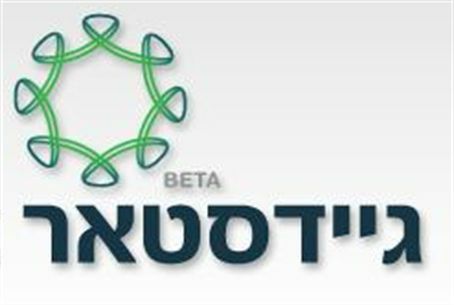 The goal in building this database, NPTech states, is first and foremost to create public transparency regarding the conduct of non-profit organizations in Israel. Anyone with an interest in non-profit organizations – donors, volunteers, suppliers and customers – may surf and find official information that was reported to the Registrar of NPOs regarding the conduct of each non-profit organization operating in Israel. GuideStar itself is a non-profit project developed by philanthropic bodies in conjunction with the Israeli government. As such, it operates from within and for the benefit of the third sector (the philanthropic sector), in the belief that public transparency is an important means for the development of this sector. GuideStar Israel is established in full collaboration with GuideStar International which seeks to illuminate the work of non-profit organizations across borders, with no financial interests in mind, in order to facilitate better communication among NPOs, donors, supporters and other interested parties and among the various organizations themselves.